A number of US Defense Department personnel are expected to travel to South Korea in coming days to assist with the expected return from North Korea on Friday of the remains of US service members killed during the Korean War. 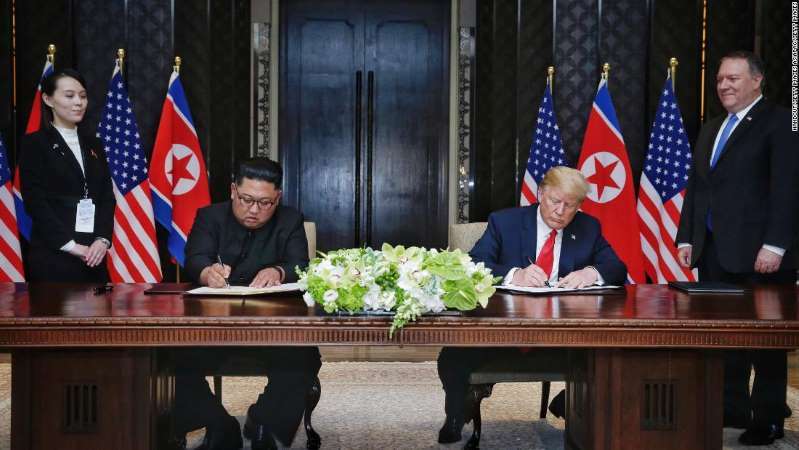 However, there is uncertainty over whether the transfer will actually happen as Pyongyang has still not given the US or South Korea final approval for the operation. After Secretary of State Mike Pompeo's recent trip to Pyongyang, The Washington Post reported that the North Koreans said they were not ready to commit to any detailed plans to return the remains to the US. [post_ads]Based on preliminary discussions, the US expects the North Koreans to turn over what they say are an initial 55 sets of remains, according to a US official. It may take months of detailed DNA analysis to determine how many American service members can be identified. The US plan is for either an American or South Korean transport plane to fly into North Korea to pick up whatever remains the North Koreans are willing to transfer, according to the official. They would not disclose the exact location inside North Korea, saying the US is worried that too much publicity could endanger the North Korean agreement. The US transfer plan calls for the US officials who fly into North Korea to conduct a "cursory review" of what the North Koreans turn over as it happens, the official said. Each case of remains will be opened and photographed for initial documentation of what it contains. Then the aircraft will fly to Osan Air Base in South Korea, where US forensic specialists will conduct a more in-depth assessment of the remains as well as an examination of any military uniform, identification tags or documentation. That review could take up to five days. After that there will be a formal military ceremony at the airfield before the remains are flown to a US military laboratory in Hawaii for DNA analysis. Pyongyang has still not given the US or South Korea final approval for a transfer, according to the official, who said the US is not certain the transfer will happen on Friday. The transfer is seen as a major confidence-building measure between the US and North Korea, and "it would be bad" if it does not happen, the official said. Last week CNN reported that the US is expecting North Korea to return the first group of possible US service member remains on July 27. The date is significant because it marks the anniversary of the date in 1953 when Chinese, North Korean and United Nations forces signed an armistice, establishing the demilitarized zone that separates North Korea and South Korea to this day. The US believes the date is appealing to North Korean leader Kim Jong Un because it enables him to tout what North Koreans view as their victory in the Korean War.